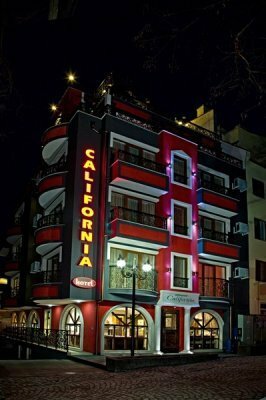 Location: "California" hotel is a boutique, business hotel with unique and refined retro design. 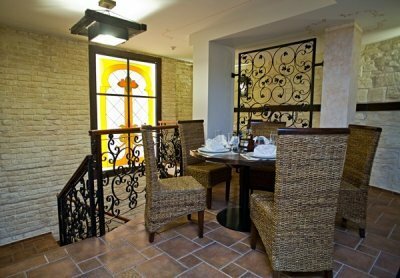 The hotel is located on a quiet street in the very centre of the city of Bourgas, only 200 meters away from the main square of the city. Accommodation: The hotel has 12 double rooms, 1 studio and 2 big apartments. 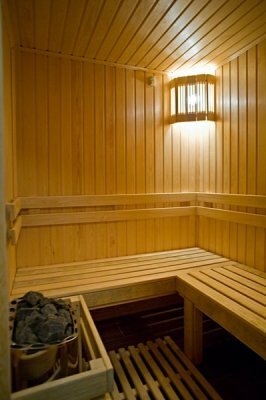 Each room has a central heating and an air- conditioner, safe-box, TV set, mini - bar, direct telephone line, internet connection. 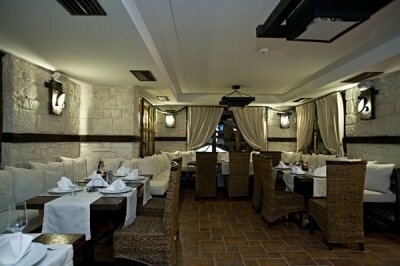 A boutique restaurant, underground parking for 10 cars, relax room and sauna.